Summer is a wonderful season, but warm weather can bring with it quite a bit of mess. If it’s not Mother Nature or birds – it’s the man-made mess that comes from a spilled drink on the patio.Regardless of the cause, a good pressure washer comes in handy when you need to quickly take care of outdoor problems. The best pressure washer for you isn’t likely the same one for me. You need to take into account your own personal environment and needs when you are shopping for a power-washer. Hopefully this guide will help you to that end. The size of the machine should be one of your main priorities. This is due to the fact that the size of the machine can influence its productivity. When deciding on the size, think about your budget as well as the workload that you have to handle. Most importantly, you need to consider the power source of the appliance. Pressure washers can be powered through electricity or gasoline. Listed below are some electric and gasoline-powered pressure washers which you can take into consideration. We’ve included our top pick in each category right here in case you are in a hurry. If not, please take a look at our buying guide and reviews below. Electric pressure washers are useful for light projects such as cleaning outdoor furniture and car washing. These pressure washers are powered through electricity since they are directly connected to a power socket through a cord. When compared to gas models, electric pressure washers are considered to be highly functional. They are lightweight, quiet and easy to start. While using an extension cord can be inconvenient during certain tasks, do know that some electric pressure washers include built-in cords. Although these machines are unsuitable for heavy-duty tasks, they have proven to be more flexible and convenient than gasoline pressure washers. Beginner Friendly: These machines can be started with a flip of a switch. 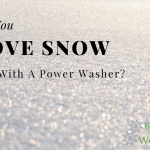 Lightweight: Electric power washers are usually lighter than their gas-powered counterparts. Limited Mobility: Since you need to remain plugged into an outlet to run the motor, you are limited in where you can use the device. Restricted Usage: Most electric models are less powerful than the average gas-powered washer. For most homeowners, this won’t be a problem since the electric models are good enough for most tasks. This electric pressure washer enables you to get your jobs done quickly and easily. The powerful 14.5 Amp motor provides enough force to wash off all the dirt, grease, and grime from your premises. The machine is not only a high performer, but it looks great too. The colorful external appeal of this machine will surely make it stand out in your garage. Moreover, this washer will be effective in both summer and winter. This means that you can keep your home neat and tidy all year round. This is one of the beefier electric washers available today. Normally the weight might be a problem, but thanks to the two roller wheels the machine can be easily moved around. The wheels are durable and shouldn’t give you trouble for the life of the washer. The Sun Joe SPX3000 utilizes the Total Stop System, which is a modern technology developed to ensure user safety. If the trigger is not connected to the hose adapter, the system will automatically stop the pump from working. Furthermore, the spray wand holder includes a long wand to prevent the user from getting hurt by high-pressured water. This machine includes five spray nozzles which enable you to clean surfaces quickly. When cleaning a car, you can use the 40 degree nozzle to see great results. On the other hand, if you are cleaning some tiny and specific, you can utilize the 15 degree spray nozzle to easily remove the dirt through the strong water flow. The AR383 is a pressure washer which is compatible across various surfaces. Whether you are cleaning wooden, concrete or stone surfaces, this machine will enable you to get rid of the dirt, mold, and moss without any hassle. The 13 Amp motor and the tri-axial plunger pump enhance the durability and reliability of this electronic pressure washer to a greater extent. This machine is not only easy to use, but it has high tolerance standards as well. If you are looking for a long-term performance and professional-level cleaning, you are looking at the right product. As mentioned before, this machine can be used across multiple surfaces. Whether you are cleaning your outdoor furniture or pet cages, this machine will prove to be highly useful. Although most electric pressure washers are only suitable for smalls-scale projects, this machine can be used for clean outdoor surfaces and equipment as well. 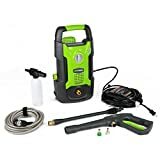 Through the quick connects, it is possible for you to assemble your pressure washer quickly and easily. The pressure hose, the turbo lances, and other gadgets can be fitted together without any hassle. Moreover, some of these features can be adjusted during the assembly to fit your personal requirements as well. Although this machine is connected to an electric cord, it can still be moved around without much difficulty. Since the machine weighs no more than 27 pounds, mobility would not be an issue. Moreover, the machine comes with a trolley that makes transportation an even simpler task. This particular electric pressure washer is known for its impressive versatility. You can use this machine to clean your home, vehicle, lawn equipment, and many other features with remarkable ease. The effortless setup and the convenient auto-shutoff pump make the machine highly maneuverable and convenient for the user. Moreover, despite being an electric machine, this pressure washer can tackle heavy-duty projects as well. The motor makes the machine a highly powerful one. This high power enables the machine to spray water at a pressure of about 2200 PSI. This sort of pressure will be definitely useful in removing loose paint and tough dirt from any surface. This machine includes five interchangeable quick-connect nozzles and a copper-connected gun hose to enhance the maneuverability. These simple gadgets enable you to assemble the machine in less than a minute. Even if you do not have a garden hose, you can use the self-suction feature to utilize standing water. Through this wand, you will be able to clean hard-to-reach areas such as the undercarriage of your vehicle. The wide availability of nozzles enable you to stream the water pressure according to the type of the surface. Although this machine is powered by electricity, it is known for its high-power quality. This pressure washer is equipped with a TSS trigger gun to enhance user safety. The brush motor of the machine also automatically shuts off when the trigger is released. This not only further increases your safety, but enhances the longevity of the machine too. The machine also includes a number of accessories such as an adjustable nozzle and a spinning patio cleaner to improve user experience. The FORCE 2000 also includes a foldable handle and attached hose reel to prevent the hose from kinking. If you are looking for a pressure washer with all the necessary bells and whistles, this is what you should opt for. Although the machine is powered by electricity, it is as powerful as a gas model. This is mainly due to the inclusion of the 3000 PSI power boost. The spinning patio cleaner is yet another impressive accessory that enables you to remove dirt and debris from your patio more efficiently. Apart from the TSS technology and the brush motor that automatically shuts off, the FORCE 2000 also includes a number of other features to enhance user safety. The machine includes a GFCI plug and an automatic safety valve to as a standard safety precautions. The machine includes a number of features that enable it to perform in the long term. The brush motor includes a thermal sensor that prevents the machine from overheating. If you overuse the machine, you will be immediately notified through this thermal sensor. This corded electric pressure washer is one of the most innovative creations of GreenWorks. The high efficiency of the machine enables you to clean your yard quickly and easily. This product is not only reliable, but it is safe and easy to use as well. Although it cannot be used for heavy-duty tasks, it performs exceptionally in lighter tasks. Apart from its impressive performance, the machine also has a visually pleasing exterior design. This machine is portable, lightweight, and compact. Since it weights no more than 17.5 pounds, you will be able to carry it around without any hassle. Although it looks small in size, the machine can last for a long time. The GPW1501 is suitable for a number of small-scale cleaning such tasks. 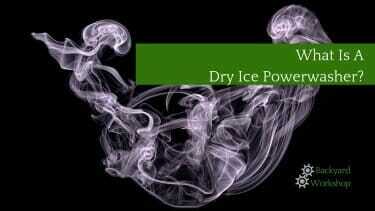 You can use it to clean your vehicle, windows, decks, floors and other areas of your house. The water flows through with a pressure of 1500 PSI and therefore can remove all the dirt and debris off any surface. Some of the features included in this machine cannot be adjusted according to your convenience. 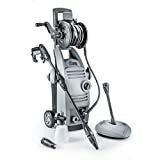 It has 0, 25 degree and 40 degree angle Quick Connect Nozzles to accommodate the needs of any cleaning task. It also comes with a “soap blaster” attachment to push soapy water farther than standard tips. Moreover, the machine itself can be used vertically or horizontally according to your cleaning requirements. These pressure washers are powered by gasoline. This makes them highly suitable for large-scale tasks such as cleaning decks and second-story exteriors. Apart from the high-powered efficiency, these machines also offer greater mobility. 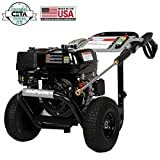 Since they do not have to connect the machine to a power outlet, these pressure washers can be used in any place of your choice. Although gasoline-powered machines have an inconvenient manual pull-start feature, most of the current models include an electric start to increase user convenience. However, one disadvantage of using gasoline-powered pressure washers would be environmental pollution caused by these machines. They can easily result in carbon emissions and fumes. Thankfully, these environmental concerns are being efficiently tackled through the use of modern technology. Although the machine is slightly larger than the average washer, it is a cinch to transport. It is equipped with 11-inch run-flat wheels which enable you to move it from one place to another easily. Since the machine isn’t restricted to being plugged in to an outlet, you can use it wherever you want without any restrictions. This washer can be used for both small and large scale cleaning tasks. Therefore, the pressure washer accommodates three different types of nozzles – o, a 25-degree and a soap nozzle. This way, you can efficiently use the machine for any task of your choice. The Generac SpeedWash 6882 includes a control panel that enables the user to adjust the machine according to his or her personal requirements. You can choose a cleaning mode that will enable you to get the job done perfectly. This particular gas model was specifically designed to meet the needs of a cleaning pro. Although the machine is extremely compact for a gasoline-powered pressure washer, it is as powerful as any other model of its class. Whether you are using it for graffiti removal or deck cleaning, you can be assured that the machine will be of great use. The triplex plunger pumps and the Honda GX OHV engines are the main reasons for this powerful performance. It is incredibly easy to use. Despite its weight, it can be easily moved around, transported, and set-up. Even if you are using this machine for heavy-duty cleaning, you will be able to complete your task without much hassle. The engine in this power washer is specifically designed to reduce the impact on the environment. Emissions are nowhere near what older models pumped out, back in the bad-old days. The AAA pumps include PowerBoost technology that enables you to use the nozzle with high pressure. This high-pressured water flow enables you to get rid of all the dirt and debris off your premises. Since the engine is designed to perform efficiently in the harshest of environments, you need not worry about performance quality. This gasoline-powered pressure washer is suitable for light and heavy-duty cleaning tasks around the house. This machine has capable of generating enough power to clean any surface of your house without much difficulty. Furthermore, this robust machine includes a foldable handle that enables you to use the pressure washer according to your convenience. This adjustable feature allows you to store the machine without consuming too much space as well. The Honda engine is one of the biggest strengths of this machine – it can pump out over 2700 PSI. Moreover this engine is quieter than older models. This means that you should be able to clean your home without annoying your neighbors. While still not-exactly light-weight, it isn’t particularly heavy for a gasoline-powered model. When compared to other products in the class, the G 2700 is comparable to others in handling. Although the machine is powered through gasoline, it is surprisingly easy to use. The machine includes two rear tires which enable you to move the pressure washer around without much difficulty. It also includes an easy access storage areas in which you can safely store your cleaning supplies. When purchasing a pressure washer, there are a wide range of options you can choose from. It is important that you compare your options carefully in order to choose the right one. Reading pressure washer reviews will enable you to get a better understanding about the products and thereby will enable you to make a wise decision. Most importantly, you need to consider the compatibility between the product’s features and your cleaning requirements. Sometimes, you may come to the conclusion that renting a pressure washer is the best option. If not, I hope this guide was helpful. The author has explained in an intelligent manner on why a pressure washer is an absolutely necessary item for our use. He has rightly said that most of us know about home tools, but only a few are aware about the usefulness and the necessity of pressure washers. He has also reviewed some pressure washers which included corded pressure washers and electric pressure washers. 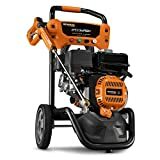 After reviewing all the pros and cons of the different types of pressure washers as explained by the author, in my opinion, I think that the Sun Joe SPX3000 2030 PSI 1.76 GPM Electric Pressure Washer, 14.5 Amp is the best and most useful of all the pressure washers that are available and would definitely go for it for my use at home. “The size of the machine should be one of your main priorities” What I think that, sometimes, women does not carry a huge machine. Therefore, when you decide to buy a machine, the measurement of its is quite important. In electric power pressure washer category, I will choose “KARCHER K3 Follow Me”. I like its feature that I don’t need to move it because it will just follow me whenever I go, less work for me. In gas pressure washer category, I’ll go to ”SIMPSON”. I like the SIMPSON too. It looks very durable and powerful. I don’t care how heavy it is, that’s why they put wheels on it. I use a corded one of these machines in my garage and use a gas-powered one for field work. The battery-powered ones just can’t do what I need them to at the quality I expect. I liked the Karcher K3 Follow-Me in this review. Perhaps that will be the replacement of my garage machine soon. I can’t imagine using a gasoline-powered pressure washer at home. And I shudder to think what my neighbours will say when they see me lugging around a big machine. For me, portability is key. You should be able to use it with ease. I like the Karcher K3 Follow-Me for its ease of use and portability. Moreover, its spray handle’s quick change feature is very convenient. I love tending to our garden; it’s almost therapeutic. An easy-to-use pressure washer would be the perfect companion. As if cleaning out something isn’t enough of a chore already, I’d have to carry a heavy tool on by back to do it? No siree! I’m gonna get me one of those that have wheels. The one with four wheels featured here looks like the one for me. A must-have for every modern home. Gonna buy one of these in the future. Surely, cleanliness is next to godliness! “Reading pressure washers reviews will enable you to get a better understanding about the products and thereby will enable you to make a wise decision. ” What I think that, when you purchase products, it is good to take a look on the reviews and comments. It might help you to know others’ opinions. Among all the products reviewed here, the only one that was really able to grab my attention was the Karcher K3. Perhaps it is because it is the only one among the items reviewed that is 4-wheeled. I think I’m gonna buy that AR Blue Clean 1900 PSI. I like all the features so far. These look fine, only thing I don’t like is that most of them come with only a one year warranty. I’d imagine if something goes wrong with these the parts could turn out to be expensive. As with anything, I buy based on my needs and requirement. For pressure washers, I’d like it to be portable/light, easy to clean and maintain, and it should be ergonomic (no undue stress due to prolonged use). Having said that, I’d go for AR Blue Clean AR 118. Looking at the Karcher K3 Follow Me, I can understand why some visitors on this site chose it. However, worth mentioning also is the one that came after Karcher (which unfortunately didn’t have a big title header! ), the FORCE 2000. Lightweight and although corded, it’s as powerful as its gas-powered counterparts. Plus it has a GFCI plug for added safety. Two thumbs up! I used Sun Joe SPX3000 it was okay until it leaked. I had it for about 2 months and I used it about 6 times. I think GreenWorks GPW1501 is the most suitable for me. It looks light and easy to use. I need it only for my front yard and my fence around the house. I really need one of these coz I work on cars in my driveway and it gets grimy as heck! Very comprehensive review! I’m looking for the best one to start a small pressure washing business with. Do you think any of these are strong enough for business purposes, or is this really just for personal use? I believe those are strong enough for business purposes. I never even thought to look for pressure washers on Amazon. I should have know they carry everything! Maybe I can get a better online than in stores. I think the choice boils down to the task that is required. The smaller and lighter ones for light work and the bigger and heavier ones for the heavy stuff. I think the price range also indicates this trend. 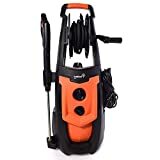 I would choose a pressure cleaner that could be easily wheeled and connected. The only limitation is the hose length or power outlet cable length. Great info from the reviewer technically. The Karcher K3 Follow-Me really caught my interest. I’m afraid my 5-year old son might also feel the same way. If it’s durable enough though, then I will be getting myself a new pressure washer and my son gets a new cart! SIMPSON Cleaning PS3228-S 3200 PSI at 2.8 GPM Gas Pressure Washer Powered by HONDA with AAA Triplex Pump is the best washer because of its powerful engine that enables it to wash through graffiti and stains.It is also easy to move around morose during heavy duty cleaning. There are so many choices of Electric Pressure Washers. And what’s good about this page is that the author explained fully well the use and importance of a pressurized washer. He laid all the choices for one’s individual need. So there we are, we just have to select what is best for us. Thank you to the author who really bagged this information for us to be aware of the importance of this simple equipment. I kinda like GreenWorks’ GPW 1501. Looks very portable and just perfect for my small lawn. But alas, I have somebody who comes over to do the job! This guy uses GreenWorks too but I forgot the model or make. I love that follow me feature. Technology is killer right now. I like the adjustable pressure on some of these models too. Makes it easier to buy one pressure washer for small and large scale cleanups. I love that follow me feature. Technology is killer right now. I also like the adjustable pressure function. Makes it easier to buy one pressure washer for big scale and small scale jobs. I love the follow me feature. Technology is killer right now. I also like the adjustable pressure function. Makes it easier to buy one model for multiple uses. I love the follow me option. Technology is killer right now. I also like that there is adjustable water pressure. Makes it easier to buy one model for big scale and small scale jobs. I know it says lightweight but judging from the Photos these things could weigh a ton. I take it that they work at the same principle as an air gun or leaf blower? but only with water, looks cool though. I have the Karcher with all the nifty accessories for 7 years now. It has not yet broken down on me. The only thing that is not efficient is the floor brush which I believe needs replacement. But, the next time, I need a power washer, this article can become a useful reference point. Thanks! In this article, there is many types of pressure washers. But the one that I like is the GreenWorks pressure washer. This pressure washer suitable for my parent as they can use it to clean quickly and easily. As this pressure washer is light, my parent will not have any problem handling it by their own. Interesting article, there is some benefit I gained. Pressure washers really do come in handy to clean those hard to reach areas, and a good one works magic on vinyl siding and concrete. My neighbor has one but I don’t. I envy the way their house looks so clean all the time :). This is definitely one of their secrets to it. Time I get my own! This would be a great gift for my dad. He’ll love one of these! Well that’s one checkmark off my Christmas list! What an awesome writeup! Thank you for sharing your knowledge about pressure washers. Are any of these models strong enough to start a pressure washing business with? No doubt, pick one of those and start your business. Can someone tell me hat exactly is a pressure washer? Sorry to sound like an ignorant but I belong to a country where we never use THESE. 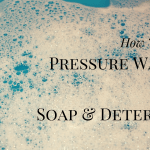 I have heard of Pressure cooker but this is all new to me with regards to washing that is. I reckon a corded pressure washer on wheels would suit me. Cleaning is hard enough, so why burden yourself with heavy equipment, right? And no noisy gas-powered machines in my neighborhood. No can do.